Gregory Porter is an artist from another time, catapulted into the 21st Century and now firmly established as one of today's great vocalists. Combining elements of jazz, soul and the blues, Porter has taken his unique baritone voice and combined it with a keen sense of melody and often piercing lyricism, making his interpretations of pop and jazz standards wonderful and his own compositions transcendent. 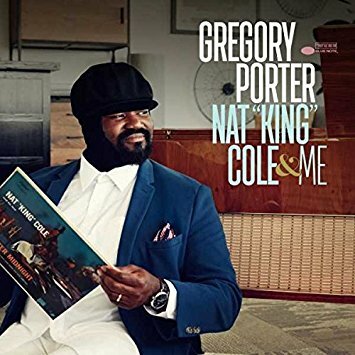 Porter discovered the music of Nat King Cole through his mother when he was just a child, with his natural phrasing being compared immediately to Cole's. This led him to what became a lifelong passion for vocal jazz with an amalgam of other musical styles. After a shoulder injury ended his college football career, Porter returned to his love of music, encouraged by his minister mother. He became an original cast member of the four-time Tony nominated Broadway Musical, It Ain't Nothin' but the Blues, as well as The Civil War. But it was his solo debut album, Water, on Motema Records, that turned heads in the music world. The album, which featured a mysterious picture of Porter (who always wears an unusual hat on his head when performing), was mostly a collection of attractive jazz cover songs. However, two new compositions showed that Porter was more than a song stylist: "Illusion" was a plaintive, stripped ballad that was mesmerizing in its simplicity. And just as good was "1960 What?," a song that captured the confusion and injustice of that period of our nation's history. 2012's follow up release, Be Good, was a revelation. Porter flexed his songwriting muscles and showed himself to be a perceptive writer, able to capture complex emotions and situations with lyrical efficiency. And its melodies and arrangements were right on, resulting in the album being a Publisher's Choice for Album of the Year here on SoulTracks. His accompanying videos to the album were both gentle and powerfully moving, particularly the video for the title song. Porter's sudden emergence after Be Good made him the "go to" guest vocalist on several pop and jazz albums from artists as varied as acid jazz band Zbonics to contemporary jazz singer Dianne Reeves. As Porter's star continued to rise, legendary jazz label Blue Note Records signed him for his 2013 release, Liquid Spirit, another excellent album that was a multiple Grammy Award nominee. 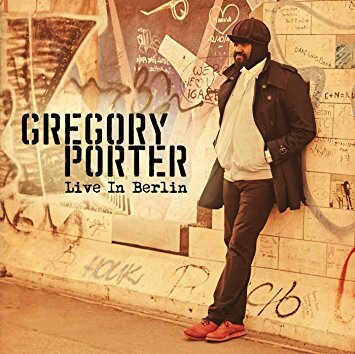 In just a few short years, Gregory Porter has become one of the most exciting, interesting, countercultural phenomena in the music world, and a breath of fresh air for adult music fans everywhere.